Yale grad/recovering drug addict/ex-con- David Milch (Hill Street Blues; NYPD Blue)- created, wrote, and served as executive producer of Deadwood- a show about a place with no laws at all. The story (w/ real historical characters and character composites) starts in 1876, when Deadwood is an illegal community, the Black Hills of the Dakota Territory having been ceded to the Sioux in the 1868 Fort Laramie Treaty. The gold discovered by Custer during an 1874 expedition has drawn thousands to the area (for each 200 men, there is 1 woman). However, this series has four very strong, yet unique, women in its cast. The show asks some big questions: How do people govern themselves, left to their own devices? How do institutions form? How does a social contract develop without any established laws? If you are easily offended by foul language, this is NOT the show for you (as w/ several other HBO dramas)! But unlike in the modern world (where lower classes aren’t given many words to vocalize their thoughts, esp. in mainstream media), Milch wanted the opposite for characters in Deadwood. As a result, you hear a LOT of profanity and vulgarity, BUT w/ an unique almost-Shakespearean formulation. Characters even have monologues at times! It does take 2-3 eps to get used to this type of language, though if you LOVE words (like me), then check it out. Deadwood is the thinking person’s Western- quite different from the classic, straight-forward Westerns of our parents’ and grandparents’ generation. Seth Bullock (Timothy Olyphant): A former Montana sheriff (grew up in Ontario, Canada); seeks his fortune by setting up a hardware store w/ his business partner/friend, Sol; a man of few words; doesn’t want to go back to the life of a lawman; works hard to control his hot temper. Sol Star (John Hawkes): A first generation American (born in Vienna, Austria and raised in Ohio); Jewish; has a background in business (unlike Seth); laid-back and congenial (also unlike Seth). Al Swearengen (Ian McShane): The owner of The Gem Saloon (yet so much more); brutal; evil (perhaps? ); cunning; has a complicated relationship w/ one of his prostitutes, Trixie; of English heritage (unlike the historical figure, thanks to the actor’s slight accent); considered one of the most compelling/multi-faceted villains in TV history (comparable to Shakespeare’s villains). E.B. Farnum (William Sanderson): The owner/manager of the town’s hotel; a composite of different historical figures; reminiscent of someone from Dickens (sniveling, conniving behind the scenes, and wearing a moth-eaten suit). Brom Garret (Timothy Omundson): An upper-class “dude” (newbie to this environment) from NYC who is staying in the hotel w/ his wife, Alma; was curious to find out about the Wild West; bought a gold claim in Deadwood. Alma Garret (Molly Parker): Brom’s wife; most likely the only respectable woman in the camp; takes laudanum; charming (having lived in high society); smarter than she appears at first glance. Trixie (Paula Malcomson): One of the pros working for Al (though she is on a higher status than the other girls, having shared Al’s bed and some of his secrets); a mix of vulnerability and strength; she has depth and secrets, too- slowly revealed over time. Doc Cochran (Brad Dourif): A doctor who was in the Civil Way (Union side, notice his uniform in some scenes); intense; raspy voiced; knows that he is not the “hero” type; one of my fave characters (so far) on the show. Wild Bill Hickok (Keith Carradine): Based on a real celeb of that time period; very good w/ a gun; forms a friendship w/ Seth; loves to gamble (poker); seems tired and disillusioned w/ life. Calamity Jane (Robin Wiegert): She travels w/ Wild Bill; can curse and drink (like a man); has had a hard childhood (like many others in this show); her character is slowly revealed as a caring person over time; one of my faves, too. Reverend H. W. Smith (Ray McKinnon): Works as a security guard for Seth and Sol’s hardware tent (when they first come to camp); becomes friends w/ them; carries his Bible everywhere (having “heard the word of God” several years ago); performs funerals; works two jobs to bring his family from the Midwest. A.W. Merrick (Jeffrey Jones): Tall, burly, and very verbose (being the only journalist in town); quite proud of his humble paper; likes company and generally being in the know. Long-time viewers have been commenting that his was one of the MOST put together auditions in Idol history! One of the MAIN reasons I watch this show is the possibility of finding a good country singer. This one is a REAL cowboy (not unlike George Strait)- V cool! He grew up on his (tight-knit) family’s ranch in TX, then joined the Marines (current job: flight instructor). John Wayne MAY look familiar to long-time Idol fans; he lost to Scotty McCreery in Season 10. Those who have seen him perform in person seem to be quite impressed by his natural abilities. Yeah, there are 2 desi (South Asian) gals on this season! Her voice sounds V pure (as Harry said). Rhea Raj, the other desi gal, has songs up on iTunes (ALL written by herself). Rhea also has videos posted (https://www.youtube.com/user/rhearajmusic). Like Rhea, Sonika has been singing (and playing the piano) for MANY years (https://www.youtube.com/user/SONIKAVAID101/videos). Bulgur Wheat – It can be used like couscous or even for breakfast (which my dad said was common when my parents lived in England). Brussels Sprouts – My former roomie & lil bro BOTH recently got into this veggie; I need to try them more. Mushrooms – I LOVE these so much, BUT could always learn more! Quinoa – I will be cooking this up VERY soon- have eaten a FEW times in salads. Sweet Potato – MANY years back, my mom & lil bro got interested in this item (esp. creating fries)- they were ahead of the health craze curve. Zoodles (AKA Zucchini Noodles) – This is a VERY popular substitute for pasta! I know what you’re thinking (esp. if a regular reader): Why did YOU watch this movie!? It’s definitely NOT my type of film, BUT I heard several positive reviews (podcasts, radio, online folks, etc.) Also, I know almost nothing about the Mel Gibson films- played Max first. I wanted to see Tom Hardy (who appeared in Wuthering Heights shown on PBS years back). I saw this reboot on HBO this past SAT, when the channel premiered it. The FIRST thing you will notice is the wild, wacky look of the film- TRULY like nothing I’d seen before! As for ALL that sand- it was shot partly in the desert of Namibia. The music is quite effective, and unusual. 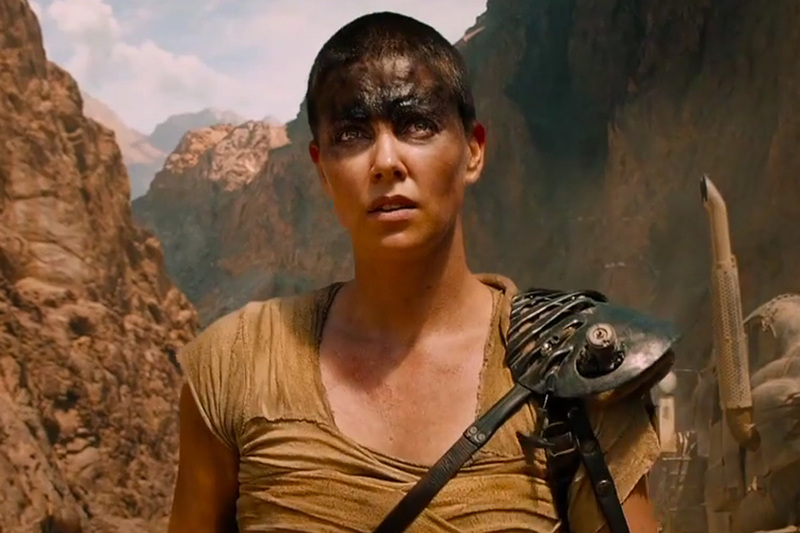 Over time, you discover that Imperator Furiosa (Charlize Theron) is the REAL lead of the story; she is seeking some sort of redemption after years of being the right-hand of the warlord, Immortan Joe (Hugh Keays-Byrne, an Australian veteran actor who also appeared in the original films). Nicholas Hoult (a young Brit) does a fine job as a Nux, a formerly fanatical supporter (“War Boy”) who learns that there is MORE to life than fighting to get into “Valhalla” (Heaven). So, is this a feminist film (as MANY critics have commented)? Well, that’s up to YOU to decide! 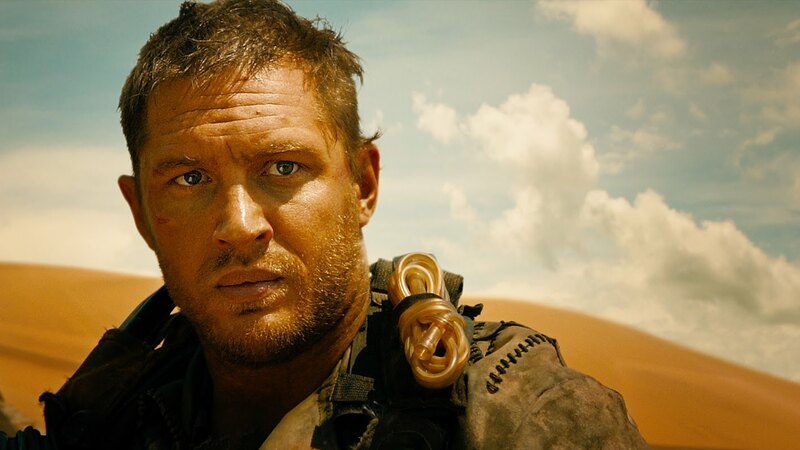 Max (the loner) helps Furiosa (a take-action gal w/ NO apologies) on her quest to get the wives of Immortan Joe (including Zoe Kravitz) to a place of safety. There is NO romance between them, BUT a gradual growth of respect- how refreshing! This film was mainly about world-building (Ali Mattu, a fan of this film, agreed w/ me on that); he replied (tweeted) that there will be sequels in the near future. Even if you’re skeptical, give Fury Road a shot. I’m esp. excited to try the 2nd soup (3:00 min mark); I also emailed this recipe to few relatives to try! If you are trying to eat LESS carbs (Who isn’t theses days!? ), you may want to try some of the above ideas. I REALLY want to try the one w/ shrimp (8:20 min mark)! Now that Winter is here, MANY folks are back to eating (warm) oatmeal; I’m going to start on it also in the coming weekend. I’ve never had an oatmeal smoothie (6:20 min mark).